thought that this building, due for demolition, might appeal to him. 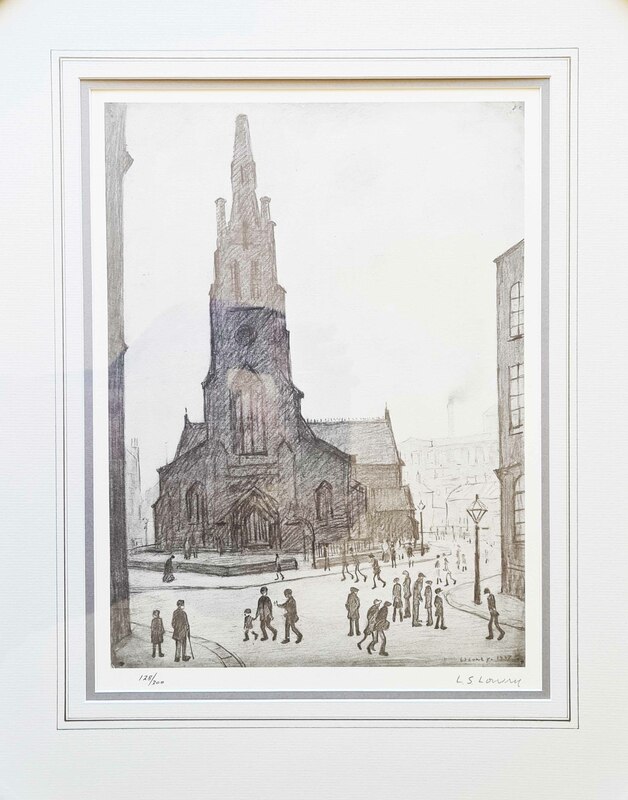 When Lowry returned to the site, a month after making his sketch, the church was gone! The related painting in The L.S. Lowry collection in Salford, A Street Scene (St Simon's Church), was completed in the following year.